contact us to request further product information. AQUANOX A4727 is engineered to be effective, stable and predictable, all day, every day. It is designed for reliable production and assembly operations. This advanced formula meets your performance cleaning requirements with advanced technology that gives a stable pH and predictable compatibility throughout its long bath life. Environmentally responsible, AQUANOX A4727 is non-hazardous and biodegradable. It contains no CFCs or HAPs and can be used at low concentrations to effectively remove even the toughest soils, and rinse easily and completely. This easy to control and cost-effective solution is a good choice for both in-line and batch cleaning systems. Aquanox® A4241 is an innovative aqueous cleaning solution for printed circuit board (PCB) cleaning and stencil cleaning is designed to be effective on the toughest soils while protecting even the most sensitive parts in electronic assemblies from etch or darkening. A4241 is safe for multiple types of metal materials used in Printed Circuit Board (PCB) Cleaning and Stencil Cleaning including bare aluminum and copper. Aquanox A4241 is a batch cleaning product specifically designed to remove reflowed flux residues and uncured wet solder paste from populated printed circuit assemblies. The A4241 product design is built to perform these two aqueous electronic assembly cleaning tasks with a single product. 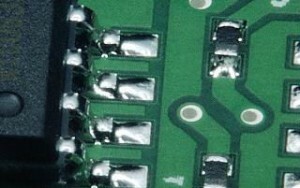 A4241 is effective at cleaning most lead-free and tin-lead no-clean, rosin-based, and water-soluble reflowed flux residues on printed circuit board production assemblies. Aquanox A4241 is functional in spray-in-air and spray-under-immersion, and ultrasonic cleaning machines. Aquanox A4241 is formulated as a concentrate with concentration levels being dependent on the soil type and level of impingement energy applied by the cleaning machine. In most applications, A4241 mixture in water ranges from 15-25% with wash times ranging from 5-20 minutes. 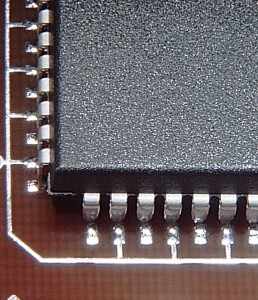 During the electronic assembly process, a small percentage of printed circuit cards are rejected due to solder paste being out of alignment during the solder paste printing process. Aquanox A4241 functions as an aqueous product that cleans both wet solder paste and reflowed flux residues that are common when a misprint arises. As such, A4241 finds applications in multifunctional stencil cleaning machines used for both stencil and printed circuit board cleaning. Aquanox A4241 is engineered with a mixture of oxygenated and polar organic reactive solvents. Functional additives are added to protect metallic surfaces from chemical attack, surface tension reduction to improve wetting and penetration under low gap components, and reduce foam propagation. The combined features engineered into A4241 make for a highly effective batch and stencil cleaning product. Aquanox A4241 is low in odor and contains no hazardous materials. This product has a wide material compatibility window on boards, components, labels and metallic surfaces. Aquanox® A4625 is a versatile aqueous cleaning chemistry designed to clean the latest lead-free residues while providing brilliant mirrored solder finishes. Easy to use, Aquanox A4625 is environmentally friendly, has a long tank life and is safe for multi-pass applications. Aquanox A4625 is a highly dispersive cleaning agent engineered to remove lead-free no-clean flux residues. Aquanox A4625 is formulated with high dispersive, moderate polarity, and moderate hydrogen bonding forces. Aquanox A4625 is effective on greater than 90% of the solder pastes in production today. A4625 is commonly used to clean rosin and no-clean flux residue types but will also clean water soluble soils. Aquanox A4625 solvency make-up is engineered with a mixture of oxygenated alcohol-ether compounds, which are partially soluble in water. The solvents were selected on their ability to dissolve rosin and resin structures. The solvents provide a unique hydrophobic (rosin/resin loving) and hydrophilic (water loving) balance. The operating concentration range for water soluble soils is 5-10%, 10-15% for rosin-based soils, and 13-18% for no-clean soils. The concentrated Aquanox A4625 contains no water or inorganic salts. The high level of solvency within the A4625 concentrate provides high dispersive values at the dilution concentration ranges. The solvent micro-droplets at operating wash temperatures ranging from 130-155°F provide high affinity for non-polar resin and rosin structures. Aquanox A4625 contains low levels of a polar organic reactive solvent with one side of the molecule inducing the ion-dipole on non-polar resins and the other portion of the molecule providing dispersive forces. These unique properties provide affinity for both ionic and non-ionic solutes. Functional additives are added to reduce interactions on metallic alloys, anodized aluminum, and conversion coatings. The pH ranges from 9.5-10.5 dependent on the in use concentration. Aquanox A4625 is designed for use in spray-in-air cleaning equipment. The operating concentration varies with the soil type. 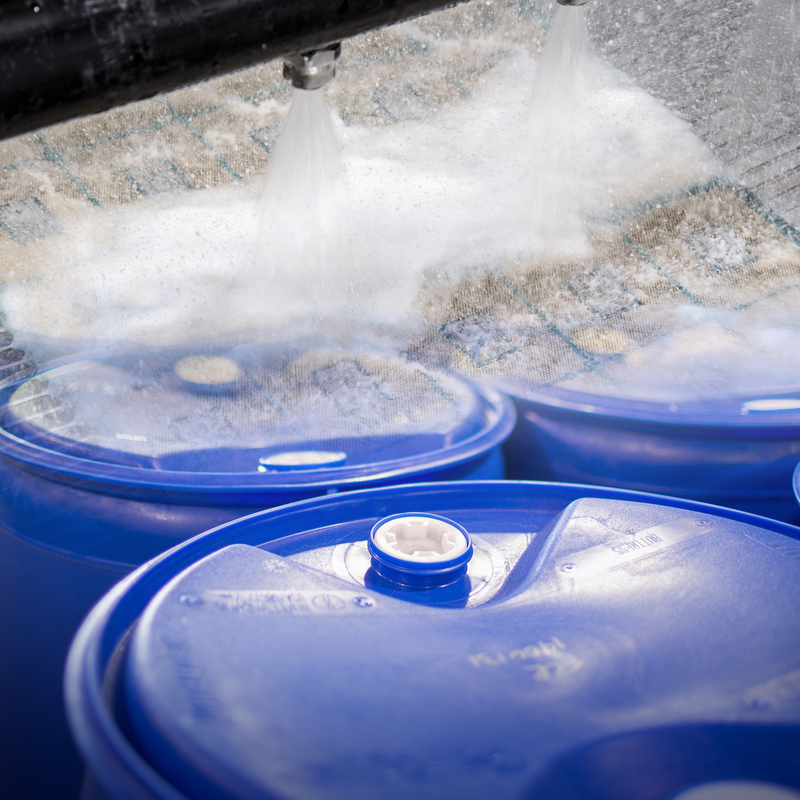 A4625 is a low foam cleaning agent that is commonly monitored based on the solvent / water ratio. Wash time is a function of the soil, component geometry and Z-axis gap. Lower Z-axis gaps under components typically require longer wash times. Aquanox® A4625B is an innovative aqueous circuit board clean chemistry specifically designed to remove all types of electronic flux residues, including the latest lead-frees, in batch washers. Aquanox A4625B is a highly dispersive cleaning agent engineered to remove lead-free no-clean flux residues and is effective on greater than 90% of the solder pastes in production today. Aquanox A4625B is commonly used to clean circuit board rosin and no-clean flux residue types but will also clean water soluble soils. Using properties similar to Aquanox A4625, A4625B is optimized for batch and inline spray-in-air cleaning machine. The operating concentration varies with the soil type. Aquanox A4625B is a low foam circuit board cleaning agent that is commonly monitored based on the solvent / water ratio when running the product in spray-in-air inline cleaning machines and refractive index when running in batch spray-in-air cleaning machines. Wash time is a function of the soil, component geometry and Z-axis gap. Lower Z-axis gaps under components typically require longer wash times. Aquanox A4625B solvency make-up is engineered with a mixture of oxygenated alcohol-ether compounds, which are partially soluble in water. The solvents were selected on their ability to dissolve rosin and resin structures. The solvents provide a unique hydrophobic (rosin/resin loving) and hydrophilic (water loving) balance. The operating concentration range for water soluble soils is 5-10%, 10-20% for rosin-based soils, and 13-25% for no-clean soils. The concentrated Aquanox A4625B contains no water or inorganic salts. The high level of solvency within the A4625B concentrate provides high dispersive values at the dilution concentration ranges. The solvent micro-droplets at operating wash temperatures ranging from 130-155°F provide high affinity for non-polar resin and rosin structures. Aquanox A4625B contains low levels of a polar organic reactive solvent with one side of the molecule inducing the ion-dipole on non-polar resins and the other portion of the molecule providing dispersive forces. These unique properties provide affinity for both ionic and non-ionic solutes. Functional additives are added to reduce interactions on metallic alloys, anodized aluminum, and conversion coatings. The pH ranges from 9.5-10.5 dependent on the in use concentration. Wash cycle times in batch spray-in-air cleaning equipment are typically longer than those required for inline cleaning equipment. 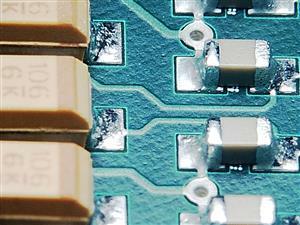 Long wash exposures may interact with some solder alloys and metallic substrates. Kyzen Booster 20 is a sump side additive often added at a level of 1-2% concentration to the Aquanox A4625B wash sump in batch spray-in-air cleaning machines. Booster 20 provides a protective film on metal surfaces during the cleaning cycle by reducing chemical interaction on metallic surfaces. The protective film is removed during the rinse stages. AQUANOX® A4633 was designed to clean flux residues from electronic assemblies in high and medium pressure batch and in-line spray washers having short wash zones. The ingredients used in AQUANOX A4633 are highly stable and do not readily oxidize or break down. Aquanox® A4638 is an engineered electronic assembly and advanced packaging cleaning agent designed to remove flux residue from flip chip and low clearance components. Aquanox A4638 is designed to remove water soluble polar flux residues and exhibits a low surface tension. Aquanox A4638 is a product specifically designed to remove organic acid (water-soluble) based flux residues. Organic acid flux residues are highly polar and ionic in nature. The highly active flux residue must be cleaned due to its hydroscopic (water loving) nature and ability to dissolve metal ions, which can lead to dendritic growth. Organic acid fluxes are traditionally designed to be removed with hot DI water. 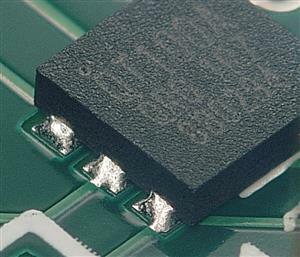 With smaller form factors (miniaturization) and high reflow processing conditions (lead-free soldering), water soluble flux residues may oxidize and char. When this occurs, highly active flux residues may no longer be soluble in hot DI water. Aquanox A4638 is designed with oxygenated solvents, activators, and functional activities. This slightly alkaline cleaning agent forms intermolecular attractions with polar water soluble flux residues. Oxidized organic acid flux residues generate an insoluble salt that A4638 dissolves. When comparing A4638 to other aqueous cleaning agents, this product performed exceptionally well. This is due to specifically selecting ingredients that match up to the residues left from organic acid fluxes. Aquanox A4638 is formulated as a concentrate. The product is designed to work in spray-in-air aqueous cleaning machines. The concentration needed is typically less than 10%. The product is low in odor and contains no hazardous materials. The product has a wide material compatibility window and is specifically designed for use on printed circuit board hardware. Aquanox® A4639 is an engineered aqueous cleaning fluid that is effective on a wide range of soils at low operating temperatures and concentrations. Aquanox® A4639 provides exceptional cleaning results and protection of metallic surfaces with minimal monitoring and no sump-side additives. Aquanox® A4639 is a dispersive and moderately reactive aqueous cleaning agent engineered to remove lead-free and eutectic tin-lead no-clean, rosin and organic acid flux residues. Aquanox® A4639 removes all flux types by balancing dispersive, polarity and hydrogen bonding forces within the formulation design. A4639 is best suited for use batch and/or spray-in-air cleaning tools. A4639 solvency make-up is engineered with a mixture of oxygenated and polar organic reactive solvents. Functional additives are added to lower surface tension, reduce the foaming tendencies and to passivate (reduce interaction with) metallic surfaces. The combined features engineered into Aquanox® A4639 make for a highly effective cleaning agent for use in both batch and spray-in-air cleaning tools. 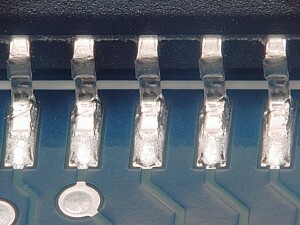 When longer wash times are required to remove flux residues under bottom termination components, A4639 functions well and reduces the tendency to grey or blue solder joints. The polar solvents used within the formulation provide strong Van der Waals forces of attraction for water soluble and rosin flux residues. As such, Aquanox® A4639 is highly effective at removing lead-free water soluble flux residues. For water soluble flux residues, a concentration of 5-10% is recommended. The balance of solvating agents used within A4639 also makes for a highly effective cleaning agent on both rosin and no-clean flux residues. For rosin and no-clean flux residues, a concentration range of 10-15% is recommended. The polar organic reactive solvents elevate the pH toward the alkaline range. To prevent oxidation onto solder alloys, copper, aluminum, silver and gold, the product contains corrosion inhibitors that protect against oxidation. This feature is highly beneficial in that higher reactivity improves the dissolution rate on hard to clean flux residues and allows for longer wash times when needed to remove flux residues under bottom termination components. Aquanox® A4639 concentration is controlled with the use of refractive index. The recommended process temperature range is 55-65°C. The product is stable and holds soils without losing cleaning effectiveness. The wash bath losses to evaporation are nominal. The cost of operation is typically less than or comparable with other aqueous cleaning agents. Aquanox A4651US is a low pH aqueous cleaning solution designed exclusively for use in ultrasonic immersion cleaning systems. Aquanox A4651US will provide brilliant solder joints with no sump side additives and cleans exceptionally well on the latest flux formulations in electronic assemblies. Aquanox A4651US is a batch cleaning product specifically designed to remove flux residues from printed circuit assemblies while reducing the cavitation threshold. The engineered cleaning solution creates a strong affinity for post soldering flux residues using a combination of water loving and oil loving properties. The low surface tension and recommended operating temperature range (50-65°C) creates lower ultrasonic pressure amplitudes needed to achieve uniform cavitation. Aquanox A4651US is effective at cleaning most lead-free and tin-lead no-clean, rosin-based, and water-soluble reflowed flux residues on production assemblies. Dependent on the flux type, Aquanox A4651US can be used “as is” or diluted. For most applications, A4651US is run at dilution rates in water of 15-30% concentration. Wash time is a function of wash temperature and ultrasonic cavitation. Selecting the proper frequency for a particular application is critical. As components decrease in size, higher frequency levels provide milder scrubbing intensity and less potential for part damage. Sweep frequency changes the speed and magnitude of energy by allowing energy bursts along with soak periods. The combined effects allows for both chemical and mechanical energies needed to remove residues under bottom termination components. These effects improve cleaning performance on highly dense assemblies. Aquanox A4651US is engineered with a mixture of oxygenated and polar organic reactive solvents. Functional additives are added to protect metallic surfaces from chemical attack, surface tension reduction to improve wetting and penetration under low gap components, and reduce foam propagation. The features engineered into A4651US make for a highly effective ultrasonic cleaning product. The product is low in odor and contains no hazardous materials. 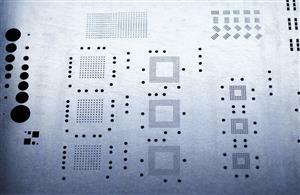 The product has a wide material compatibility window on printed circuit boards, components, labels and metallic surfaces. Aquanox® A4703 is an aqueous cleaning solution designed with a pH neutral formulation combined with KYZEN’s revolutionary inhibition technology. This combination delivers superior material compatibility and pristine parts. Aquanox A4703 is a high solvency – low reactivity cleaning agent specifically designed to clean low-residue no-clean, rosin and water-soluble flux residues from printed circuit assemblies. Aquanox A4703 is engineered with a mixture of solvating agents that provide high dispersive and polarity forces. When diluted with DI-water, the A4703 cleaning solution is highly effective at removing flux activators, soldering salts, fingerprints, organic acids, and surfactants. Aquanox A4703 is designed to operate within a neutral pH range. At the recommended concentration of 10-15% dilution in DI-water, the pH ranges from 8.5-9.5. With lower activity, the cleaning solution provides improved materials compatibility. Additionally, pH neutralization may not be necessary when disposes of chemical isolation rinse water to the local publicly owned treatment works. To maintain product performance on no-clean and rosin based flux residues, Aquanox A4703 is engineered with all the essential building blocks. Low levels of reactants improve cleaning while running at modest concentration levels. The solvents engineered into A4703 along with functional additives result in a low foaming solution that can be run in both batch and inline spray-in-air cleaning tools. The product is low in odor and contains no hazardous materials. Aquanox A4520 is an electronic assembly and wafer-level packaging cleaning fluid. Aquanox A4520 is a concentrated aqueous-based cleaning agent engineered to remove organic acid, rosin and no-clean flux residues. Aquanox A4520 is most effective on organic acid and rosin based flux residues and is best suited for use in batch and inline spray-in-air cleaning machines. Aquanox A4520 wafer level packaging solvency make-up is engineered with a mixture of oxygenated, bio-based and polar organic reactive solvents. 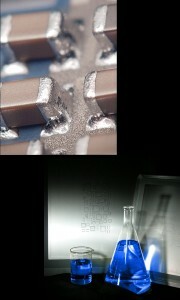 Functional additives lower surface tension, reduce foaming and passivate (reduce interaction with) metallic surfaces. The combined features engineered into Aquanox A4520 make for a highly effective product to clean flux residue under highly dense packages. Aquanox A4520 wafer level packaging cleaning solution is highly effective at removing organic acid flux residues under flip chip die and bottom termination components. The polar solvents used with this formulation provide strong Van der Waals forces of attraction for organic acid and rosin flux residues. These polar attractive forces and low surface tension provide the ability to penetrate bottom terminations and clean organic acid flux residues at fast throughput rates. The polar organic reactive solvents elevate the pH toward the alkaline range. To prevent metallized oxidation, the product is engineered with corrosion inhibitors that protect against oxidation. This feature prevents staining to gold pads, aluminum, copper, tin and lead alloys. Aquanox A4520 concentration is controlled using refractive index or alkaline titration methods. The recommended process temperature range is 55-65°C. The working concentration for cleaning organic acid flux residues typically ranges from 4-6%. The product is delivered to the component bottom terminations using targeted spray nozzles. Bath life is dependent on soil load, drag out and replenishment rates. 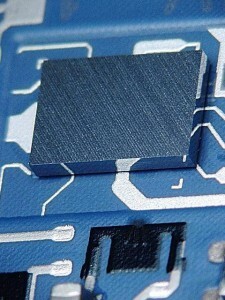 AQUANOX® A8820 is an engineered Micro Cell Technology (MCT™) cleaning fluid designed to remove wet solder paste and uncured adhesive from stencils used with the surface mount printing process. Aquanox A8820 rapidly dissolves solder paste fluxes while maintaining suitable material compatibility with stencil coatings, stencil materials of construction and cleaning machines. It is most commonly used to clean the stencil once removed from the stencil printer. Aquanox A8820 effectively removes most uncured SMT adhesives and is non-flammable, low in odor and fast drying. For optimal performance, Aquanox A8820 should be run at 25% concentration with water at ambient temperatures. 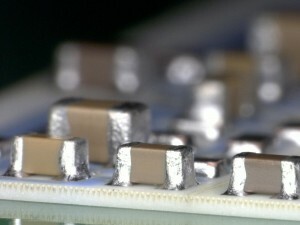 At this concentration, the Micro Cell Technology (MCT™) built into Aquanox A8820 wets and rapidly dissolves the flux that holds the solder spheres into a paste. Upon dissolution of the flux, solder balls release from the apertures and drop to the bottom of the cleaning tank. In well-designed stencil cleaning equipment, the solder balls are caught in recirculation filters, greatly extending bath life. Aquanox A8820 is RoHS compliant and meets all REACH requirements to date. Aquanox A8820 ships as a concentrated product and is non-hazardous. Please reference the Aquanox A8820 Safety Data Sheet for other safety and/or performance considerations. Aquanox A8830 cleans solder paste from stencil apertures in ultrasonic immersion cleaning tanks, using a 10% solution at room temperature. The product does not phase separate and requires no mixing before or during use. Aquanox A8830 has virtually no odor with a VOC level of less than 1 gram per liter at use conditions. The product cleans all solder paste types including water soluble, rosin and no-clean. The product effectively cleans lead free no-clean solder pastes. Maximum wash cycle time is typically less than 4 minutes and Aquanox A8830 easily rinses with water, leaving no residue on stencil surfaces. Following the cleaning process, solder spheres fall to the bottom of the cleaning tank. The solder spheres may be removed using filtration or decant catch pans. When processed in an ultrasonic powered stencil cleaning machine, Aquanox® A8830 also removes uncured SMT adhesives. 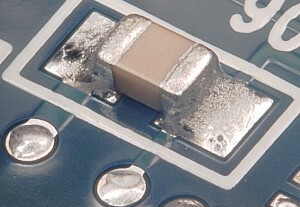 In this scenario, Aquanox A8830 breaks up, lifts and disperses the SMT adhesive from the stencil aperture. When cleaning uncured SMT adhesives, a slightly longer wash time of 6-12 minutes is needed. When cleaning polypropylene pump stencils, the ultrasonic energy tends to be dampened by the plastic stencil. As such, a longer wash time may be necessary. The active ingredients in Aquanox A8830 are not consumed during the solder paste cleaning process and very little chemistry is lost when running at ambient process temperatures. After the initial charge, no additional make-up chemistry is required until the wash bath is changed. For preventative maintenance purposes, a wash bath change out schedule of 1-2 months is recommended or in the case of heavy use, a one month change out is suggested. Aquanox A8830 may also be used to clean pallets, oven radiators and other tooling. When using Aquanox A8830 for maintenance cleaning, heavy soils may require a wash temperature of 40-60°C at a concentration of 10-15%. Aquanox A8831 cleans solder paste from stencil apertures in spray-in-air cleaning machines, using a 10% solution at room temperature. The product does not phase separate, but forms a cloud point at ambient temperatures. Aquanox A8831 has virtually no odor, requires no mixing before or during use and has a VOC level of less than 1 gram per liter at use conditions. Aquanox A8831 cleans all solder paste types including water soluble, rosin and no-clean. Maximum wash cycle time is typically less than 4 minutes and Aquanox A8831 easily rinses with water, leaving no residue on stencil surfaces. Following the cleaning process, solder spheres fall to the bottom of the cleaning tank. The solder spheres may be removed using filtration or decant catch pans. Aquanox A8831 is compatible with seals and materials of construction common to spray-in-air stencil cleaning machines and is also compatible with PVC piping, metals, plastics and ceramics, when used within recommended cleaning parameters. 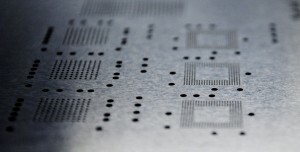 Aquanox® A8831 does not tarnish stencil foils or frames, nor does it attack or impact the epoxy adhesive or mesh that connects the stencil foil to frame. Aquanox A8831 is lost through drag-out when running at ambient process temperatures, but exhaust and evaporative losses will be mostly water during the first week of bath use. A wash tank may be replenished with water during initial use, followed by a dropper titration method for monitoring cleaning agent concentration levels. For preventative maintenance purposes, a wash bath change out schedule of 1-2 months is recommended or, in the case of heavy use, a one month change out is suggested. Aquanox A8831 may also be used to clean pallets, oven radiators and other tooling. When using Aquanox A8831 for maintenance cleaning, heavy soils may require a wash temperature of 40-60°C at a concentration of 10-15%. Application Note: Aquanox A8831 is only marginally effective at removing uncured SMT adhesives. As such, KYZEN recommends Aquanox A8820 to remove uncured SMT adhesives. Please contact your KYZEN Representative for more information. Aquanox® XJN Plus is a KYZEN legacy product. The aqueous cleaning solution is effective on pastes, fluxes, and assembly residues. Aquanox XJN Plus is a multi-metal safe product with no sump-side adds and leaves solder joints brilliant.